Star Wars: Legion is a game of skill and luck, you can't win without having a little bit of both. 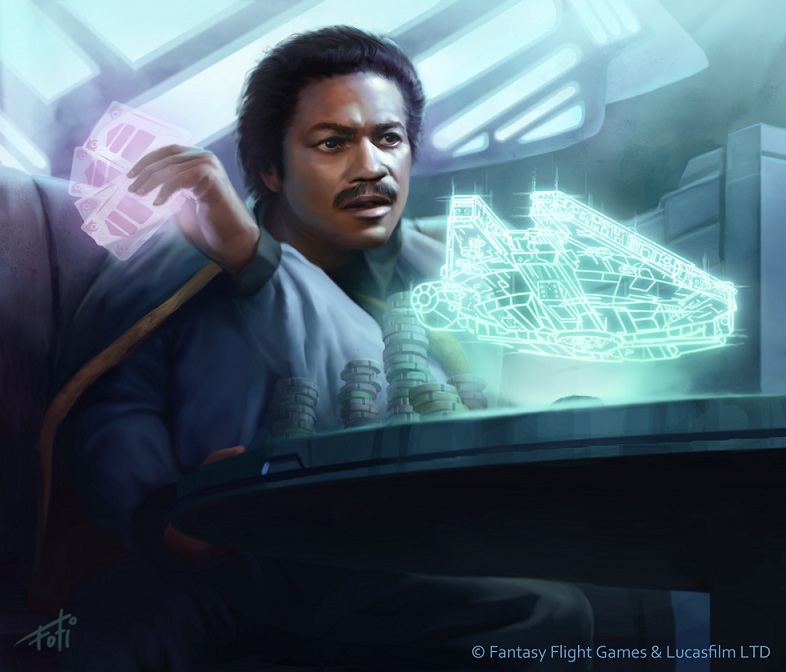 In this article we will give a quick overview of the dice in SW:L and some general guidelines as to quickly and roughly calculate expected outcomes while playing. Attack dice are eight sided and there are four possible results on any attack die; blank, surge, success, and critical success. there are also three different colors of dice each with their own probabilities, in order from least to most likely to succeed they are; white, black, and red. when calculating results in the information below the chances of success will include critical successes because they add towards regular successes, there will also be a separate calculation for critical only for situations that require a critical for success. as a general note there is only one critical and one surge possible per die. because attack dice are eight sided we know that each single side of the die has a 12.5% chance of coming up, so to figure out the chance of success we can simply multiply the number of sides with the desired result by 12.5%. see the table below for the results. Red: 1x blank, 5x success, 1x surge, 1x critical or 75% chance of success without surge and 87.5% with surge. Black: 3x blank, 3x success, 1x surge, 1x critical or 50% chance of success without surge and 62.5% with surge. White: 5x blank, 1x success, 1x surge, 1x critical or 25% chance of success without surge and 37.5% with surge. All Dice Critical: 6x blank, 1x surge, 1x critical or 12.5% chance of critical without surge and 25% chance with surge. fundamentally we all know this, but how does this benefit us while playing a match? we can quickly and roughly convert percentages back into fractions (50% = 4/8 = 0.5) and add these numbers together for each die in an attack pool to come up with the number of average successes to help us determine the best course of action. so for example, a squad of 4 Rebel Troopers shooting 4 black dice can reasonably expect 2 hits (4 dice at 50% or 0.5+0.5+0.5+0.5 = 2) while 4 Stormtroopers shooting 4 white dice and converting surges can reasonably expect 1.5 hits (0.375+0.375+0.375+0.375). to give a couple more examples; an AT-RT with a rotary canon trying to get crits against armor can reasonably expect 1.25 crits (0.25+0.25+0.25+0.25+0.25) while an AT-ST shooting 2 red 2 black and 2 white can reasonably expect 3 hits (0.75+0.75+0.5+0.5+0.25+0.25). you get the idea and can try the math with other units. it gets a little more complicated when you add in an Aim token and rerolls, but not by much. To account for a reroll you multiply the fractional chance of failure of the first attempt by the fractional chance of success of the second attempt then add the result to your original fractional chance of success to get your new total chance of rolling a success - I'll give you the numbers below. All Dice Critical with Reroll: 22.5% no surge, 43.75% with surge. to calculate the successes generated from a dice pool with an Aim token simply replace the number of rerolls you get (2 + 1 per instance of Precise) with the new statistics. lets use the Rebel Trooper and Stormtrooper examples from before; 4 rebel troopers with an Aim token can reasonably expect 2.5 hits (0.75+0.75+0.5+0.5) while 4 Stormtroopers with an Aim token (and precise 1) can reasonably expect 2.2 hits (0.61+0.61+0.61+0.375). When doing this napkin math for attack pools with mixed dice I like to be conservative and always use the lowest die for my estimate, for example on an AT-ST with an Aim token I would assume I am going to spend the token to reroll the white dice in which case it could reasonably expect to get about 3.5 hits (0.75+0.75+0.5+0.5+0.44+0.44). Now you shouldn't be taking time to do this math when playing a game, but if you can do it quickly in your head it will give you a much better idea of what results to expect when deciding what weapons to shoot where. Defense dice are six sided and there are three possible results; blank, surge, and success. there are also two types of defense dice; red being more likely to succeed and white being less likely. Because defense dice are six sided we know that the probability of any single side coming up on a roll is 16.7% and we can use the same quick math we used for attack dice to figure out how likely we are to get the result we want. Red: 2x blank, 1x surge, 3x success or 50% chance of success without surge and 66.8% chance with surge. White: 4x blank, 1x surge, 1x success or 16.7% chance of success without surge and 33.4% chance with surge. we can also do the same quick math we did for attack dice to figure out our chance of success when a reroll is involved. Because defense dice are rolled one per success in the attack die pool we can use the same addition method we used with attack dice to figure out the reasonable number of success we can expect per defense roll. for example Rebel troopers defending against 4 hits can reasonably expect 1.3 successes (0.33+0.33+0.33+0.33), while Stormtroopers suffering the same 4 hits can reasonably expect 2 successes (0.5+0.5+0.5+0.5). Where this information becomes really useful is in comparing results to figure out optimal choices. To do this we simply take the expected successes of an attack die pool, modify it for out side circumstances like dodge and cover, and then with the resulting number remove the expected successes from the defense die pool - the remaining number is the reasonable number of successes you can expect to get from any given attack. Lets use an AT-RT with a rotary canon as an example, because this is a unit that will often have many viable options when picking targets. The AT-RT rotary canon rolls 5 black dice and surges to a critical (0.62 hit, 0.25 crit) making it a very versatile weapon. Lets say our AT-RT has an aim token as well and has 3 options for targets; a unit with with white defense dice that surge, a unit with red defense dice, and a unit with the Armor keyword and white defense dice that surge. for this exercise lets assume that no target has dodge or cover and only look at the dice. Attacking the white defense die target we can reasonably expect 3.5 hits (0.86+0.86+0.625+0.625+0.625), lets also assume that our 0.5 expected hits came up short (I always under estimate my own chances and over estimate my opponents chances), the defender would roll 3 white defense dice and could reasonably expect 1 success (0.33+0.33+0.33). when we compare the difference we find that this attack would likely inflict 2 wounds. Attacking the red defense die target we can expect the same 3.5 hits rounded down to 3, but this time the defender could expect 1.5 successes (0.5+0.5+0.5) and using my general guideline we would round the opponents 0.5 result up making their total expected successes 2. when comparing results we find that this attack would likely inflict 1 wound. Attacking the Armored unit we are now looking only for critical successes and the same 5 black dice with 2 rerolls would reasonably give us 1.6 successes (0.44+0.44+0.25+0.25+0.25). Since 0.6 is better than a 50/50 chance we will round this up to 2 successes. The defender would then roll 2 white defense dice with surge and could expect 0.6 successes (0.33+0.33), rounding up to 1. we then compare results and find that this attack would likely inflict 1 wound. This math is intended to be a quick and simple way to evaluate options, and by no means a guarantee of results. There are also other factors that can come into play when mitigating variance such as Dodge, Cover, Aim, etc., but we will spend more time on those in other articles. Also keep in mind that SW:L is a game about objectives, and dealing the most damage isn't always the best choice, but again we will cover those scenarios in later articles.